SAN FRANCISCO — Celebrating the 10th anniversary of the Bunka (Cultural) Hall of Fame, the Japanese American Association of Northern California will host its annual induction of artists from Northern California who have excelled and contributed to the culture of Japan and bettered relationships in the community by enlightening all to the culture of Japan as practiced here in America. The five honorees for this prestigious honor will be inducted at a luncheon on Saturday, Jan. 23, to be held at the Hotel Kabuki, Post and Laguna in San Francisco’s Japantown. Hokka Nichibei Kai is the oldest Japanese American community organization, established in 1895 to better relations between America and Japan. For over a century, the JAANC has continuously worked to better relations between Japanese Americans and the general public. Helping to resolve problems for the primarily Japanese-speaking Japanese American community is a continuing program of the JAANC. The JAANC is a non-profit, tax-exempt corporation established under Section 501(c) (3) of the Internal Revenue Code. Toshio Saburomaru was born in 1918 in the small town of Hollister. When he was 10, the family moved to Japan. It was near Hiroshima that “Tosh,” as he was called, observed a neighbor working on his bonsai trees. He developed an interest in the study of bonsai and studied with Yuji Yoshimura. In 1938, the family returned to California, to a farm near Ventura. After serving in the U.S. Army, Saburomaru settled in the San Francisco area, where he met and married his wife, Mitsuye. His first nursery in Palo Alto was destroyed by flooding, so he opened a second nursery in Menlo Park, where his love for bonsai began to grow and flourish. In 1955, Saburomaru and his friends got together to study bonsai at his nursery. In 1960, this group started the Kusamura Bonsai Club. As president and sensei, he was an inspirational leader. Learning new techniques from Japan, Saburomaru began teaching regular classes at his Menlo Park nursery, as well as Watsonville and Fresno. The group grew to an association of six bonsai clubs, which would hold annual conventions in San Francisco. The Kusamura club newsletter became the association’s main newsletter. In 1967, the association became known as Bonsai Clubs International (BCI) and the newsletter’s name became Bonsai Magazine. 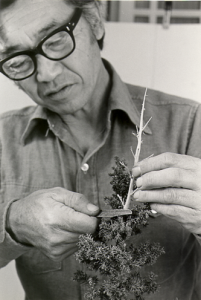 Around 1973, Saburomaru began hosting tours to Japan to study the latest in bonsai. He held a series of monthly workshops where students could bring trees for consultation and advice. In 1978, he was instrumental in the forming of the Golden State Bonsai Federation (GSBF), which now boasts over 70 member clubs in Nevada and Arizona, and is still growing. Saburomaru gave regular lectures and demonstrations at conventions and gatherings throughout the U.S., including Chicago, Minneapolis, Florida, Pennsylvania and Texas. In 1979, he was invited to teach in Venezuela. In 1994, the joint BCI-GSBF honored Saburomaru for 35 years of sharing dedicated and incomparable bonsai expertise with the world. He died on April 16, 1996. In 2002, he was the first to be posthumously awarded the Circle of Sensei for teaching and promotional contributions to the art of bonsai and to the cultural understanding of the art form. “His first goal was that you enjoyed it, even if your bonsai wasn’t perfect,” his son Robert recalled. San Jose Chidori Band. It 1953, a group of leaders of San Jose’s Japantown came together to discuss their community’s needs. One of the needs was to express their appreciation to the Issei, through music. Like Kambei of “Seven Samurai,” Kanjiro Shiraki, Mitsuzo Daita, Kitsuo Yamamoto, Hideki Okida and Harry Yonemura had the ears to recognize the talent needed to gather a group that is now renowned, even though they themselves would not play in the band. The San Jose Chidori Band first performed on Memorial Day 1954 at Okida Hall in San Jose before about 300 very lucky and happy music lovers that can say they were there at the beginning of a 61-year legacy that is still continuing to this day. The band leaders listened to records to learn the music. All those who have performed with the San Jose Chidori Band did so out of their love of Japanese music and for the community, and volunteered their services. The band performs a mix of Japanese classics, pop and instrumentals for the Nikkei community in concerts around the Bay Area. Starting at San Jose Buddhist Church Betsuin in the 1960s, they have been regulars on the local Obon circuit, performing at the Alameda, Southern Alameda County, Oakland and Mountain View Buddhist temples every summer. They have also played at Obon festivals in Placer County, Lodi, Fresno, San Francisco and Marin County. The band does not collect any fees from the churches, and the churches gratefully give them “orei” or an honorarium for this great gesture and service. They have also played at many special events, such as the 100th-year anniversary of San Francisco Japantown, and events in Cortez, Hanford, Livingston, Los Angeles, Monterey, Penryn, Sebastopol and Stockton. Some of the favorite songs they play are “Shinshu Ondo,” “Tanko Bushi,” “Obon no Uta,” and “Shiawase Samba,” as well as an original piece, “Chidori Band Ondo,” in homage to their indebtedness to the community. 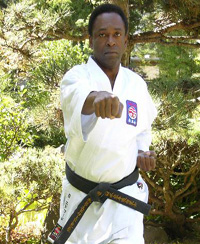 Shihan Bernard Edwards is the chief master instructor of the U/S. Karate-Do Hakua Kai Association and the president and founder of the Edwards Karate School and the Hakua Kai International Organization. Edwards Karate School has been teaching traditional Japanese Hakua Kai karate-do to adults and children on the San Francisco Peninsula for the last 45 years. Edwards has a bachelor’s degree in international business management, with a minor study in Japanese language and culture. He was a world-class competitor and won championships at every level. He competed on the Hakua Kai Japan National Team and the All Saitama Team. He trained with the top instructors and competitors while living in Japan in the 1960s and earned his shihan title during this time. Edwards began teaching Hakua Kai karate and settled in San Francisco in 1970 after his tour in the Air Force. He produced students who became gold medal winners in USA Championship tournaments and five times has had students on U.S. national and IKF teams. He was one of the most sought-after referees/officials in the country under AAU and USA Karate Federation and was featured on the CBS television show “48 Hours” while refereeing the final match in the Police and Fire World Games in Memphis, Tenn.
Edwards opened the first Japanese karate school teaching traditional Japanese karate on the Peninsula. He has continued to study, teach, and take students to Japan each year for the past 45 years. To this day, he has the longest-running karate school that is still operating. A 2010 inductee into the Martial Arts Masters Hall of Fame, he is the first person allowed to represent Hakau Kai outside of Japan, first branch chief in the U.S. for Ryukyu Kobujutsu Hozon Shinko Kai USA, and first California branch chief of Nihon Jodo Kai. Currently there are 12 instructors and 560 students studying in his schools. Kanow Yofu Matsueda, a Nisei who grew up in Stockton and San Mateo, always enjoyed the music of the big band era of the ’40s and the ’50s, and jazz. But then he learned the soulful music of the shakuhachi. “Shakuhachi was a nice outlet for expressing myself,” he quietly states. Matsueda’s humble pursuit of his love of music has touched many more than anyone realizes. To this day, he encourages and supports all who are interested in Japanese music. During World War II, Matsueda and his family were sent to the camp in Rohwer, Ark. and later to Tule Lake in Northern California. After the war, he graduated from San Mateo Junior College, and later from UC Berkeley, with a degree in business administration. Serving in the U.S. military in Japan, he worked as an interpreter and interrogator for the Counter-Intelligence Corps. He met and later married Kaoru Tsubokura. From 1959 to 1964, Matsueda studied the shakuhachi with Master Reifu Hirokado, a noted composer and performer. Hirokado was a disciple of Seifu Yoshida, who also performed and recorded with the famous koto composer Michio Miyagi. Matsueda earned the professional name of Yofu, or “Wind of the West,” and returned to the U.S., bringing with him the great cultural gift of shakuhachi music. Matsueda started his musical performing journey in the U.S. in 1965. His contributions to the cultural exchange of Japanese music in the Bay Area has spanned over 50 years. He added so much to the “sankyoku” ensemble music of koto, shamisen and shakuhachi. From the 1960s to the 1990s, he was in such demand that he was asked to perform for all the major koto schools in the Bay Area, including Seiha, Chikushi, Todo and Miyagi, and has played with Kinko and Tozan school musicians of shakuhachi. He is a free spirit that adds depth to all music programs that he is a part of. He was also asked to be the master of ceremonies at many Japanese American community events because of his bilingual ability. Notable events for which Matsueda played include the Nihonmachi Outreach Committee’s Day of Remembrance in San Jose, since its inception. The soothing sound of his solo shakuhachi filled the room at San Jose Buddhist Temple, as people from all backgrounds gathered for a candlelight procession through Japantown. The purpose of the event is to remember the wartime incarceration of Japanese Americans and to ensure that the same fate will not befall any ethnic community in America. Matsueda has organized and played for the Palo Alto Buddhist Temple Obon celebrations since the 1970s, always inviting different koto groups to showcase their music. He and Julie Masazuki Sumida of the Seiha Koto School, his duet partner since 1966, always played one of his favorite songs, “Haru no Umi” by Michio Miyagi. Judo sensei Keiko Fukuda (2010 Bunka Hall of Fame honoree) always insisted that Matsueda and Masazuki accompany her students in performing “Ju-no-kata,” the special judo forms she is known for worldwide. For the last ten years, Matsueda performed twice a year for a lecture/demonstration class at Skyline College. He was first accompanied by Fumiko Kodama, an accomplished Miyagi School koto performer from Japan. Later, Kazuko Muramoto of the Chikushi Kai School of Koto joined him. In the 1980s, Matsueda was often a featured performer with San Jose Taiko. He also performed at several cultural events throughout the Bay Area, including at Stanford University, Cupertino Cherry Blossom Festival, and for many years at the Sakura Matsuri and Aki Matsuri in San Francisco with several different koto schools. 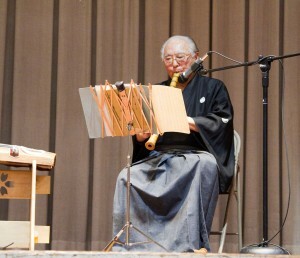 Matsueda also taught many students the shakuhachi from his home studio in Sunnyvale. A most patient teacher, he even provided special treats to his students at every lesson. Perhaps one of the most significant contributions he made, which extended beyond the performances, was his ability to bring different people together to share in the love of Japanese music and introduce the arts to new audiences. From the young age of 5, Misayasu became a lifelong devotee of Japanese classical dance. When she was just a teenager, she became an assistant dance instructor for the annual San Jose Buddhist Church Betsuin Obon Odori. She is also a 1976 graduate of UC Berkeley, with a bachelor’s degree in Japanese language from the East Asian Languages Department. 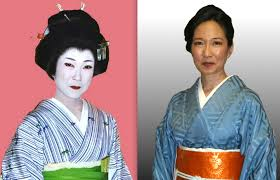 After graduating from UC Berkeley, she attended Aoyama Gakuin in Tokyo from 1977 to 1979, and at the same time studied to receive her natori (dance title). She was accredited and was bestowed her natori degree in 1977 by Grandmaster Bando Mitsugorō IX, and granted the professional name of Misayasu, under the Bando Mitsusa Kai. She began teaching in 2001 and shared her knowledge of Japanese culture and tradition with her students through dance. Along with the annual San Jose Obon Festival, she danced at numerous venues, including Nakayoshi Gakko Friendship School in Mountain View, whose mission is to increase awareness of Japanese culture and help students appreciate the Japanese American heritage. One of the featured interviewees in the documentary “Hidden Legacy: Japanese Traditional Performing Arts in the World War II Internment Camps,” Misayasu kept her teacher’s legacy alive by teaching her students well. She taught them the meaning of the lyrics of the music they danced to. She put the emphasis on the story, the culture, the tradition, the etiquette and manners involved with buyo, as well as respect, grace and being thankful to be able to learn such an art. She was well respected by her students, who miss her very much. A resident of San Francisco, she died in January 2014 after a five-year battle with cancer. She leaves a legacy of beautiful Japanese dance that will continue through her students and the Bando Kai of San Jose.